ownCloud and openSUSE are two of my favorite projects. After they both have released major new versions I have updated my ownCloud in a box appliance now, so that it's easy to get the latest and greatest what ownCloud and openSUSE have to offer. The appliance is built with SUSE Studio as usual and comes in a variety of formats to allow installation on physical and virtual systems, running it from live media, or deploying it to the cloud. Check it out on SUSE Studio's gallery. 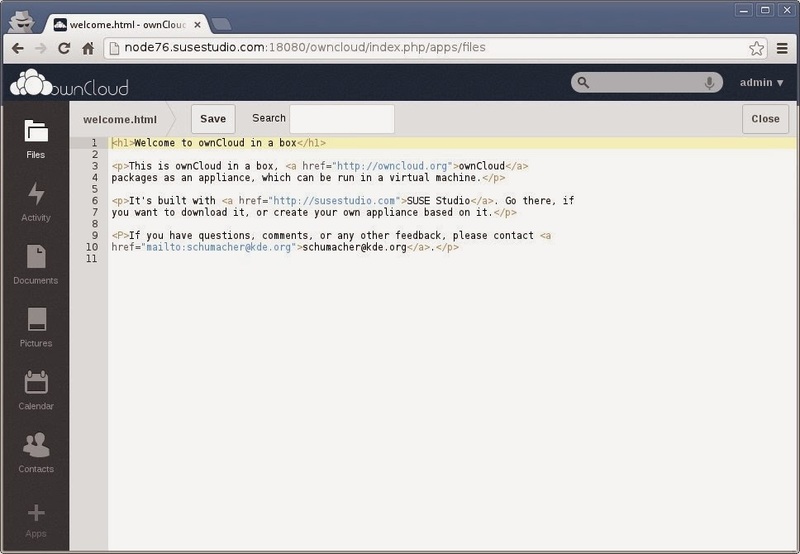 One of the big new features of ownCloud 6 is ownCloud Documents, a collaborative editor based on ODF. This is a pretty cool feature as it allows groups of people to work together on a document with rich text. The best is that it's all free and open and you can run it on your own server so you have full control about your data. There is much more. 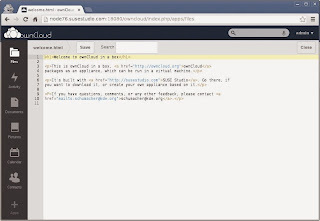 Read on about what's new in ownCloud 6 and what's new in openSUSE 13.1. Congratulations to both projects for two fabulous releases. I'm looking forward to more to come.